Very few of the current members will have known or have memories of the man who founded the Club and was its only President for 58 years. I was fortunate in that my father was Club Secretary during the late hostilities with Germany and I got the opportunity to see Malcolm Smith when Committee meetings were held at our house. At other times he and his wife would come for dinner. Malcolm was born in 1886, in Balgrayhill, Springburn, son of a cycle trader who had a shop near Glasgow Green. These were the days of the ‘Ordinary’ bicycle or penny-farthing as it was popularly known and horse-drawn trams. ‘Safety’ bicycles (the ones we have now) came in in the late 1880s and superseded the Ordinaries during the early 1890’s. 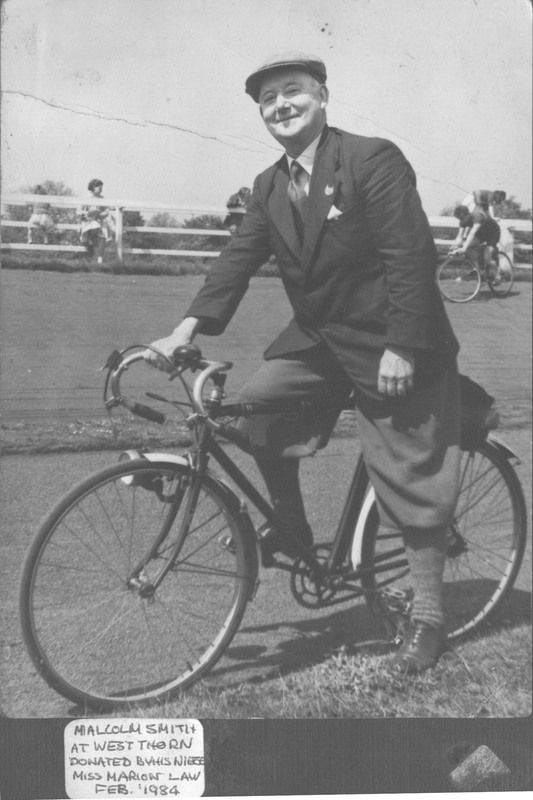 There is a photograph of Malcolm on an Ordinary but I suspect that by the time Malcolm was racing that would have been in some kind of novelty event. When he was a young man his father opened a branch shop at 254 High Street, a shop that Malcolm was to trade from until he retired at the end of the second World War. Few records of Malcolm’s racing career have survived but we know that he had a brilliant career on the track in the years leading up to the first World War. His debut took place on the Isle of Man when he won two track events at the Castletown Track Meeting. Many successes followed and, by all accounts, he had a very full trophy cabinet. He raced and had many wins on the old cement track at Celtic Park, a venue which hosted many international stars of the day. 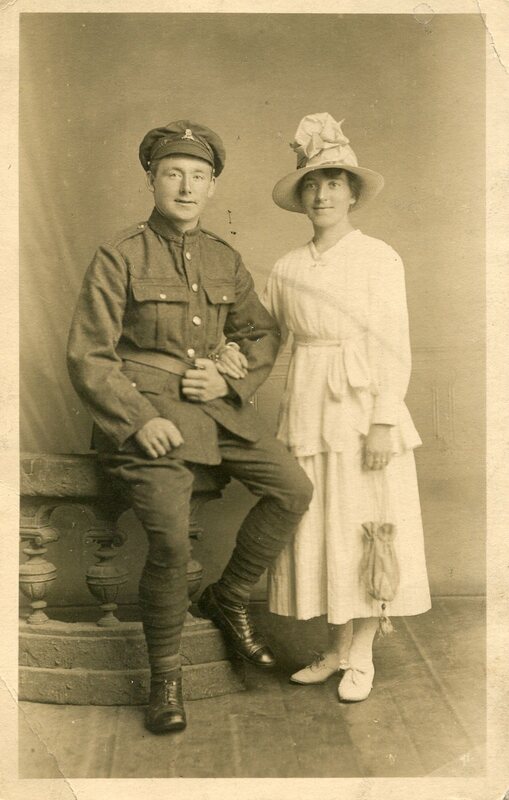 Called up, like so many others, he served in the army in France, was invalided out and got married, still in uniform, to his wife, Agnes, in 1915. His business was trading well and like most bike shops was used as a meeting place by local cyclists. In due course some of these took the notion to form a club and approached Malcolm for the use of the large basement as a place to meet. The basement, apparently, also hosted a piano. Malcolm and his wife were talented singers which probably explains why. The exact sequence of events is now forgotten but he gave them permission to use the name of the frame that he made and sold, the Nightingale (his mother’s maiden name). 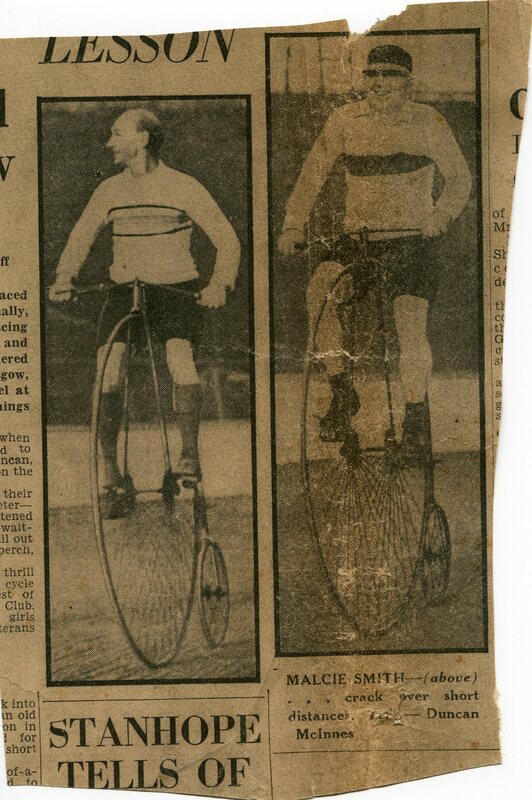 The club was therefore called the Glasgow Nightingale Cycling Club. This was rather frowned upon by some at the time as amateurism was then like a religion and being tainted with the name of a commercial product was almost like sacrilege. Incidentally, I can’t recall ever seeing a Nightingale frame although Jim Hay can remember a couple of Club members riding them just after the war. During that time, between the World Wars, Malcolm was one of the best-known traders and officials in Scotland. At one time or another he held just about every official post it was possible to hold in the national bodies of the day. His wife died in 1945 and he sold the shop in the High Street to David Rattray & Co, makers of the ‘Flying Scot’. From then on Malcolm (‘Old Malkie’ by this time, to everyone) was a kenspeckle figure on the road. He always wore a green eye shade of the kind that used to be worn by newspaper editors in films. He’d had measles at the age of three which had left his eyes permanently susceptible to strong light. With that trademark and the fact that he was an inveterate talker he was known far and wide. He had a particular knack of persuading young lads he met on the road to join a respectable cycling club and many of the post war intake of youngsters came into the club after meeting Malcolm. In his latter years he lived in pensioner’s accommodation in Springburn and, when he wasn’t out and about on the bike, would entertain at Old Folks Homes, playing the piano or the violin and singing. He played about half a dozen instruments; a many-talented man. He was, of course, the guest of honour at the Club’s Golden Jubilee celebrations at the Grosvenor Hotel. Sadly, he died just short of his 100th birthday by three years, at the age of 97. His longevity he put down to the fact that he was a non-smoker, non-drinker and non-gambler. He said to me that his brother had done all these things to excess and had been a life-long lesson to him. I never knew his brother or if he even had a brother. You never knew with Old Malkie. At the end of his life he seemed no more than a genial old gentleman but in his heyday he had been a man of some substance and we have every reason to thank him for his tireless work in ensuring that the club has survived where others have failed.